OPEX Week Orlando 2018 welcomed more than 350 process excellence professionals from all over the globe. They spent an inspirational, educational and emotional few days in Orlando at the world's largest and most influential Business Transformation summit! 100+ speakers from the worlds leading brands including LEGO, National Express, Allianz, Verizon, Wells Fargo, Zurich, Yahoo, State Street, Nokia, MasterCard and many more presented enlightening case studies, hosted inspirational discussions and shared practical tips to shape the future of customer contact! 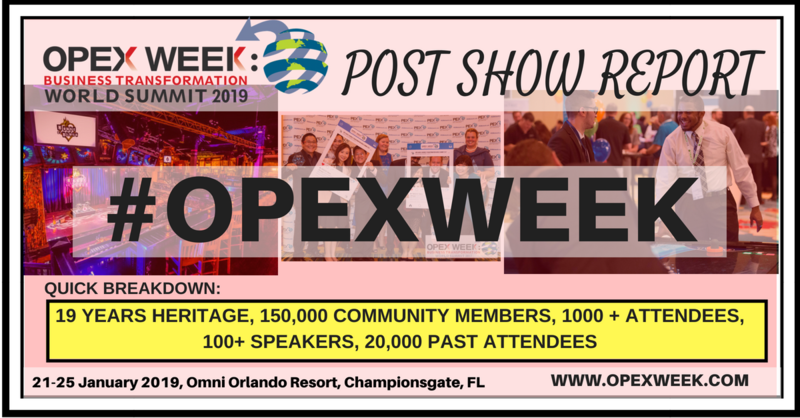 Discover the 2018 highlights, the country breakdown of delegates and what to expect for OPEX Week Orlando 2019!